Since 1991, Dr. Lichfield has been helping patients find drug-free pain relief. Helping patients achieve whole body wellness. Call today. If you've been looking for an Everett chiropractor you can trust with your spinal health, Corner Chiropractic is the answer. Established in 1999, our chiropractic and therapeutic massage center has improved the lives of thousands of patients through skilled and precise chiropractic care. We pride ourselves in being the area's one-stop shop for all their family's spinal health needs, providing the same level of compassionate and dedicated care to each patient who walks through the doors of our office. 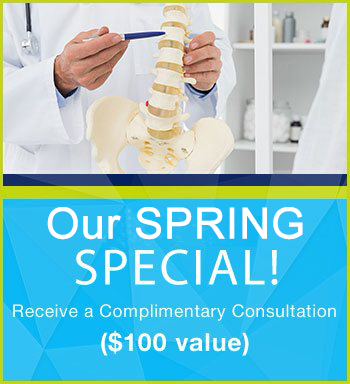 When you first come into our office, our team will sit down with you to review your symptoms and conduct a general assessment of your spinal health. From there, as needed we will conduct any diagnostic testing until we're able to determine the cause (if unknown) of your pain or discomfort. At that point, we have a number of treatment options and chiropractic services at our disposal that may assist you in relieving your pain and getting on the path to improved health and wellness overall. One of the most common services we perform here in our office is that of chiropractic adjustment. This may be done as a one-time treatment or, if needed, may be done is a sequence of appointments for optimal results. We find that spinal adjustments are great for improving spinal biomechanics, reducing nervous system interference, and relieving pressure on the discs in between your vertebrae. In addition to chiropractic adjustments, we also tend to recommend massage therapy as a potential treatment option. In many cases, this will be done in conjunction with spinal adjustment, but it does have some benefits on its own. For many, massage therapy is a great way to find relief from back and neck pain. Furthermore, our very own Dr. Lichfield understands that each patient has unique needs, which is why we come up with a customized plan of treatment for each of our patients based on their needs, goals, and lifestyles. Interestingly enough, Dr. Lichfield first decided to go into chiropractic medicine when he was injured in a bike accident and was unable to find pain relief from other doctors. Upon visiting a chiropractor, who was the father of one of his friends, he was able to find significant pain relief and realized just what a difference the right chiropractic care could make. Dr. Lichfield then went on to study chiropractic and graduated from Parker College in Dallas, TX soon after. Since 1991, Dr. Lichfield has been practicing chiropractic care and helping others find drug-free pain relief. 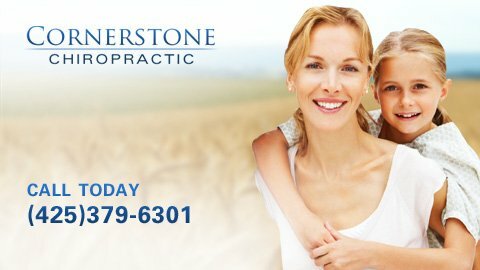 If you've been looking for a chiropractor you can trust, be sure to contact Cornerstone Chiropractic today. Our office can be reached at 425-379-6301, and we'd be happy to find the best appointment time to work with your busy schedule as well as to answer any questions you may have.